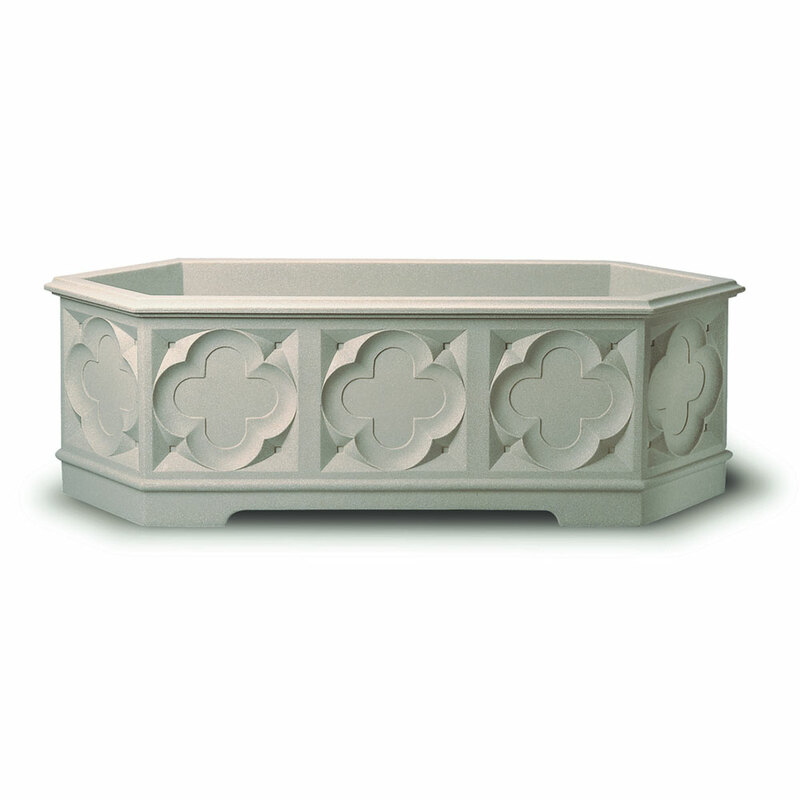 Stewart Garden Gothic Trough 90cm attractive outdoor garden planter in mottled stone coloured design disguising a lightweight durable plastic construction. 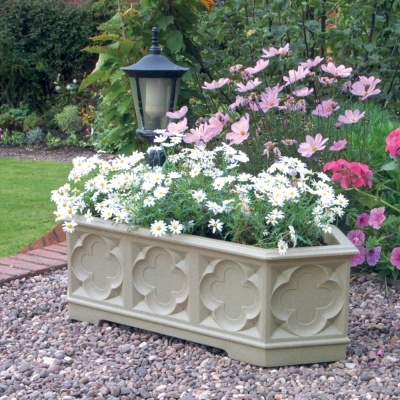 Gothic ornamental styling adds to the charm of this frost resistant & UV stabilised patio planter. Trough shape with the look of stone without the deterioration that natural materials suffer, such as cracking, or frost risk, and moss build up. Versatility of durable plastic ensures planter continues to look fabulous year on year, with easier relocation of plants due to lightweight loading. Gothic design brings authenticity to any flower display. Stewart's use premium top quality plastic, guaranteeing plants will be well protected against all the elements. Gothic Planters also available in other sizes and shapes.